Nikon D5500 has been officially launched with some new and interesting features. 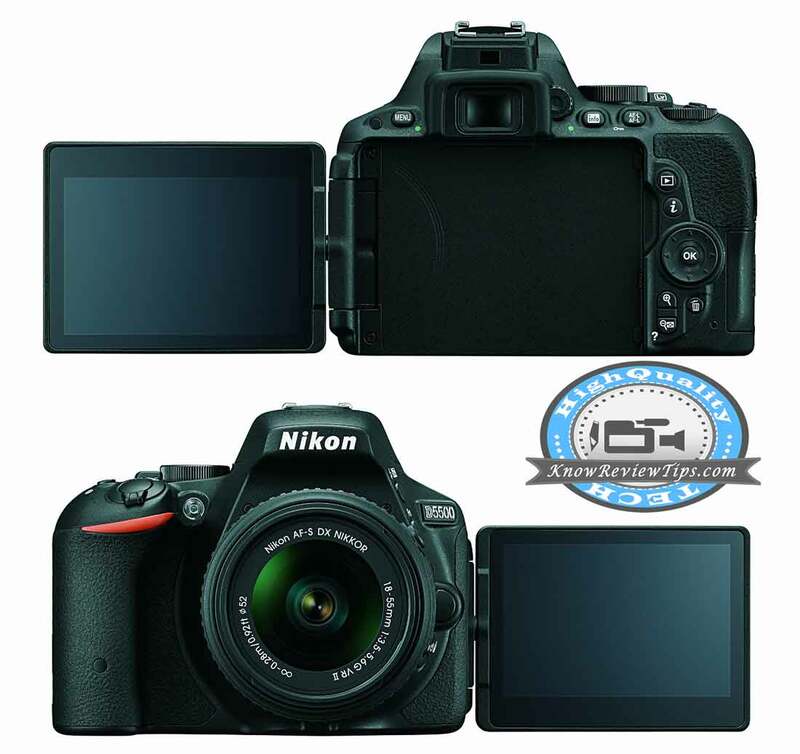 The Nikon D5500 DX DSLR is the company’s first DSLR featuring 3.2-inch touch screen capabilities. There are some major improvements over the last D5300. It seems that company has skipped the Nikon D5400 and would skip the D3400. The D-5500 has 24.2-megapixel resolution with 23.5mm x 15.6mm sensor size. It comes with 5 frames per second / fps top continuous shooting speed at full resolution. The D 5500 has better grip and is lighter than the D5300 and D3300. It measures about 124 x 97 x 70mm and weights 420 grams ( body Only). It is accomplished with eye sensor control / proximity sensor that automatically switch on the viewfinder when you take the camera close to your eye plus it will shut the display for some additional controls. There is TFT vari-angle LCD touch screen with 170 degree viewing angle and having resolution of 1037K dots. It is powered by Expeed 4 image-processing engine. It doesn’t have optical low-pass filter that allows to capture more detailed and share images (also known as the ‘anti-aliasing’ or ‘blur’ filter in layman terms). The Nikon D5500 offers fastest shutter speed of 1/4000 sec and the slowest of 30 sec. ISO sensitivity varies from 100 to 25600. There are 39 AF points out of which 9 are cross type. It is capable of recording Full HD 1080p Videos at 60fps/ 30 / 24fps with H.264 / MPEG-4 Advance Video Coding in MOV file format. It has Buil in WiFi that allows you to share photos, videos and stream live view on smart devices ( Android / IOS for live streaming ). 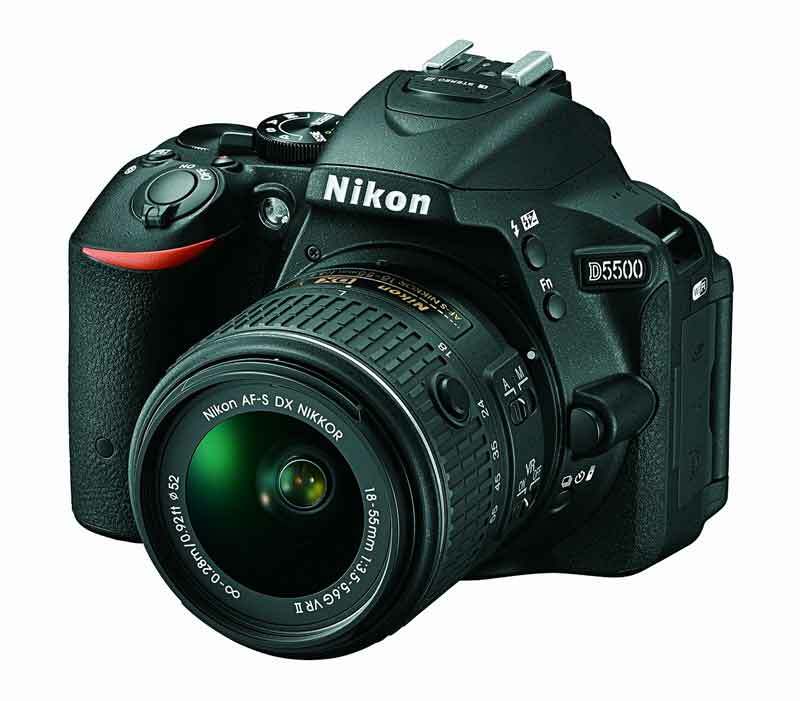 The Nikon D5500 is priced at US $ 869 in the USA for body only. It is available in Red and Black colors. You can buy it from Amazon.com body / with 18-55mm VR LENS KIT for $ 996. It will be available in the three different kit configurations: alongside the AF-S DX NIKKOR 18-55mm f/3.5-5.6G VR II lens for Rs. 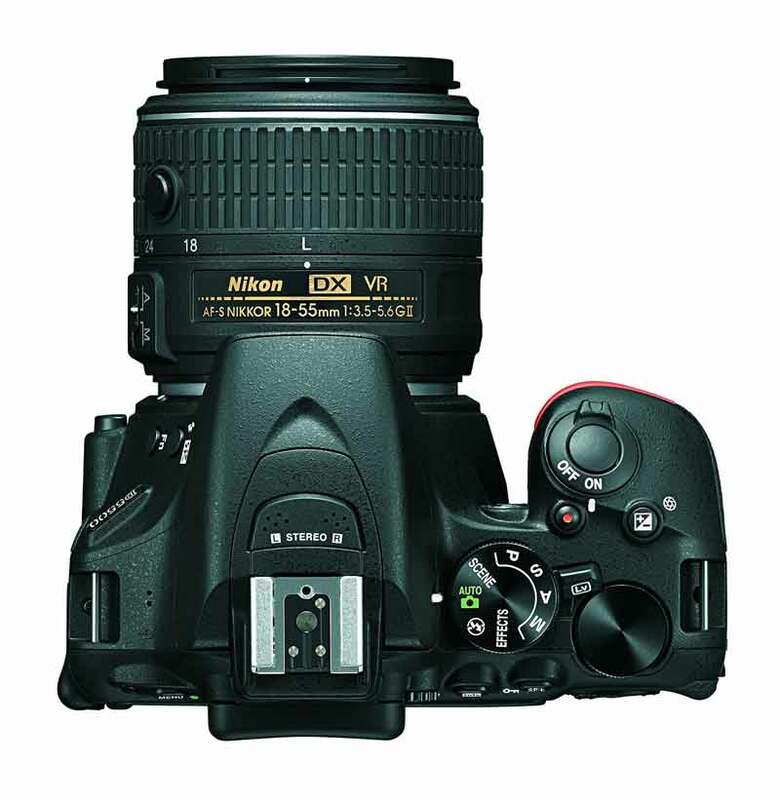 59,950, with the AF-S DX NIKKOR 18-140mm f/3.5-5.6G ED VR lens for Rs. 72,950, and with AF-S DX VR 18-55/3.5-5.6G VR II and AF-S DX 55-200/4-5.6G ED VR II for Rs. 68,950. It is expected to launch in India in February 2015 and would be available through offline stores and online stores like Flipkart, Amazon . We will do the Unboxing and full review as soon as it will be launched in India so stay tune till then.